Your app. Your framework. Your platform. Any developer or IT professional can be productive with Azure. The integrated tools, pre-built templates, and managed services make it easier to build and manage enterprise, mobile, web, and Internet of Things (IoT) apps faster, using skills you already have and technologies you already know. Some cloud providers make you choose between your datacenter and the cloud. Not Azure, which easily integrates with your existing IT environment through the largest network of secure private connections, hybrid database and storage solutions, and data residency and encryption features – so your assets stay right where you need them. 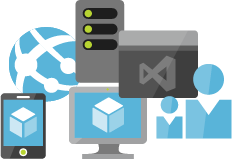 And with Azure Stack, you can bring the Azure model of application development and deployment to your datacenter. Azure hybrid cloud solutions give you the best of both words: more IT options, less complexity and cost. It’s why it’s one of the best cloud computing services available. 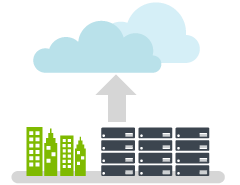 Azure’s pay-as-you-go services can quickly scale up or down to match demand, so you only pay for what you use. Per-minute billing and a commitment to match competitor prices for popular infrastructure services like compute, storage and bandwidth mean you’re always getting unbeatable price per performance. We know some organizations are still wary of the cloud. That’s why Microsoft has made an industry-leading commitment to the protection and privacy of your data. Microsoft was the first cloud provider recognized by the European Union’s data protection authorities for our commitment to rigorous EU privacy laws. 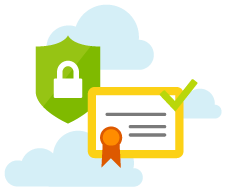 Microsoft was also the first major cloud provider to adopt the new international cloud privacy standard, ISO 27018. Microsoft Azure Government, a stand-alone version of Azure designed to meet the rigorous compliance requirements of U.S. public agencies. 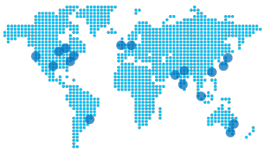 As the best cloud service from Microsoft, Azure runs on a wordwide network of Microsoft-managed datacenters across 32 regions – more countries and regions than Amazon Web Services and Google Cloud combined. This fast-growing global footprint gives you lots of options for running applications and ensuring great customer performance. Azure is also the first multinational cloud provider in mainland China. Azure’s predictive analytics services, including Machine Learning, Cortana Analytics and Stream Analytics, are redefining business intelligence. Make smarter decisions, improve customer service and uncover new business possibilities from your structured, unstructured and streaming Internet of Things data. Interested in learning more about Microsoft Azure? Fill out our contact form and we’ll be in contact with you shortly!